Bremen is a medieval city that wouldn’t look out of place in a fairytale book, so it’s not surprising that it consistently rates as hosting one of the most beautiful Christmas markets in the world. 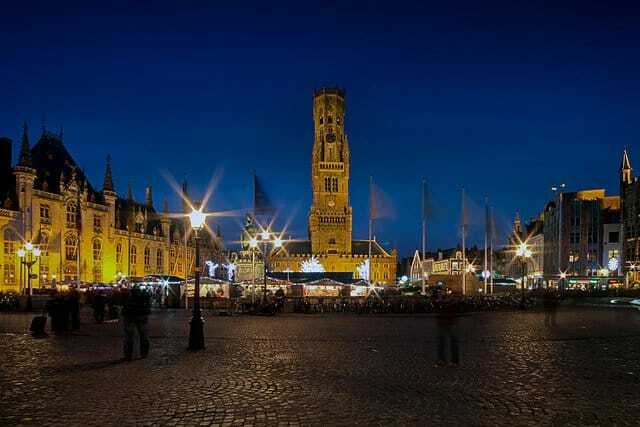 With over 170 gorgeously decorated stalls, traditional handicrafts and torch-lit taverns set against the backdrop of a picturesque market square, the whole atmosphere is pretty special. Head down to the river waterfront to find snow-topped chalets serving up mulled wine and hearty German fayre and an advent calendar style attraction where each day a door is opened to reveal a new surprise. 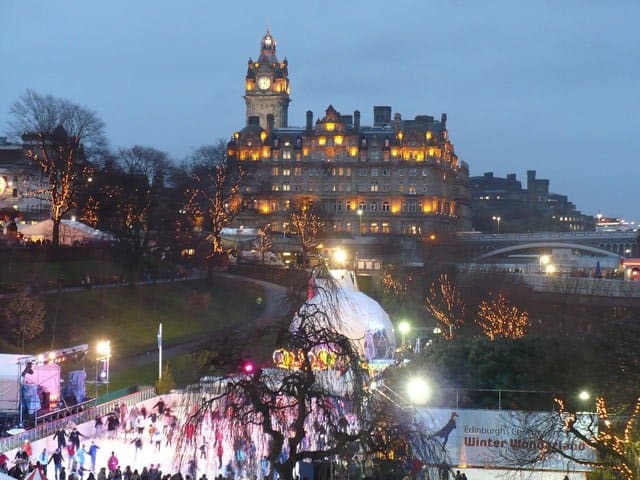 Edinburgh is a city that never does anything by halves, so as well as Hogmanay also add the Christmas market to your seasonal wish list. 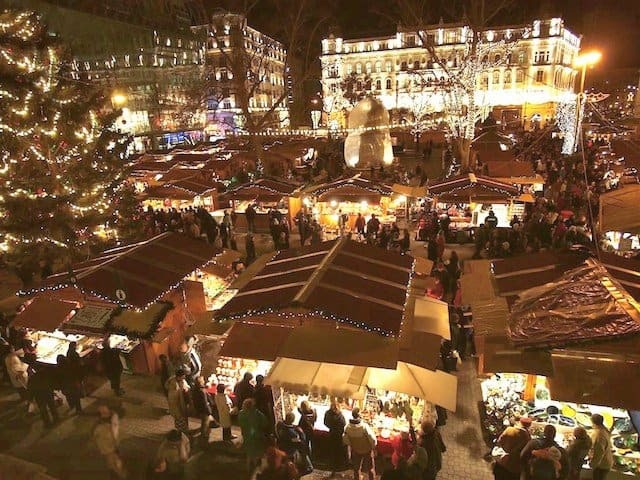 This year the city plays host to three markets; a traditional Scottish market, a children’s market and the main German style market to be held at the East Princes Street Gardens. You can ice skate, have a romantic ride on the big wheel and happily lose yourself in the Christmas tree maze. As well as all the usual Christmas market trappings also expect a series of seasonal events including a Santa Train, a fun run, and a suitably cultured Christmas theatre. 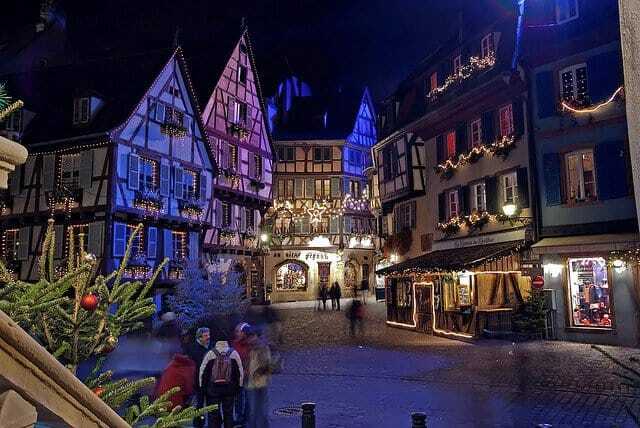 The picturesque half-timbered French town makes the perfect backdrop to a Christmas market. It may not be the most famous but it’s easily one of the most beautiful with fairytale-esque décor, traditional gifts and an attractive outdoor ice rink. The market is spread across five squares and has a reputation of being the most illuminated market in France with glowing garlands and thousands of twinkling lights. A very family orientated affair, children also have their very own market complete with wooden toys, clowns and plenty of gingerbread. Prague is a famously beautiful city and come December, the city is turned into a winter wonderland setting. 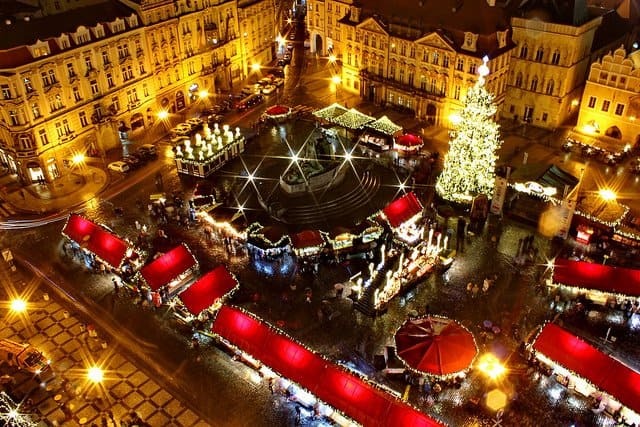 The largest markets are held in Wenceslas Square and the Old Town Square – both are equally well lit with a folklore theme and stalls selling handmade crafts like glassware, jewellery, lace, candles, ornaments, and wooden toys. Also expect a carol concerts, a gigantic Christmas tree and nativity animal stable where your children can pet the resident farm animals. 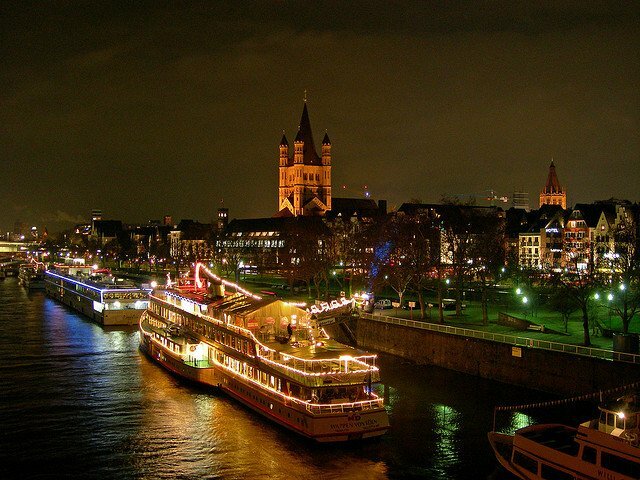 Cologne is one of the most famous Christmas markets in Europe, but it’s famous for a reason. 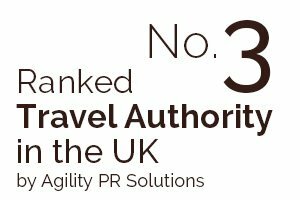 Attracting over 2 million visitors a year there are seven Christmas markets in total, all within walking distance from one another. The best is located just outside Cologne’s beautiful gothic Cathedral. The half-timber stalls, the outdoor ice rink and the floating market are all shadowed by pretty narrow-gabled houses – just a few of the reasons why this market is so popular. 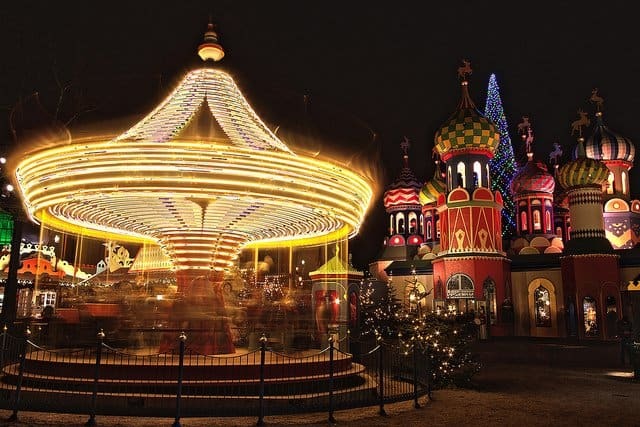 Tivoli Gardens are like a fairytale all year round so at Christmas you can expect the cute factor ranked up several notches. Thousands of fairy lights of all colours surround you through the whole park and the smell of mulled wine and apple pancakes fills the air. 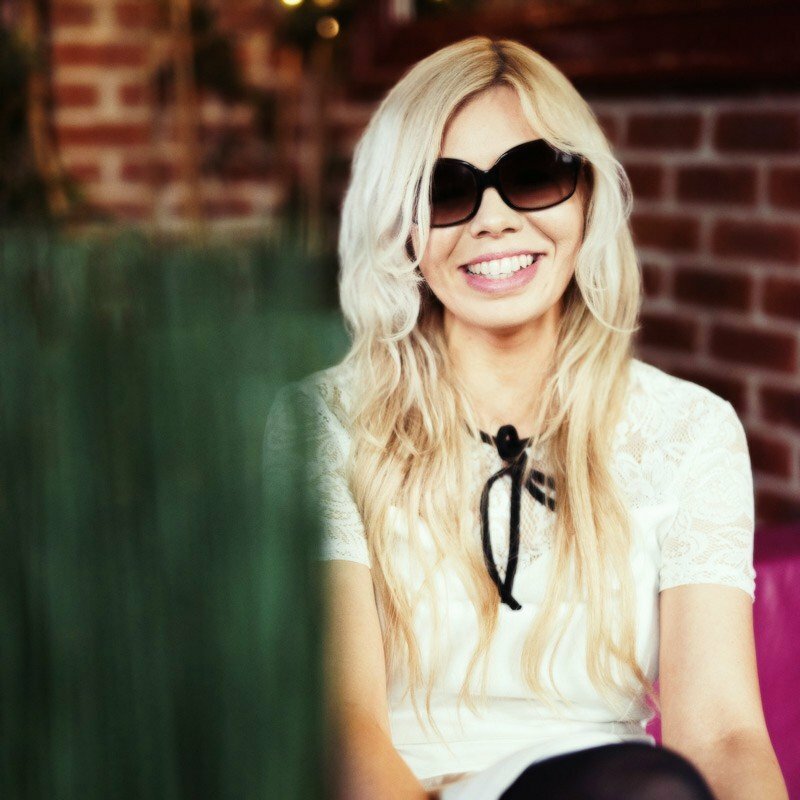 Expect a Nordic theme with Scandinavian traditions, Danish dishes and reindeer to add to the Christmas feel. 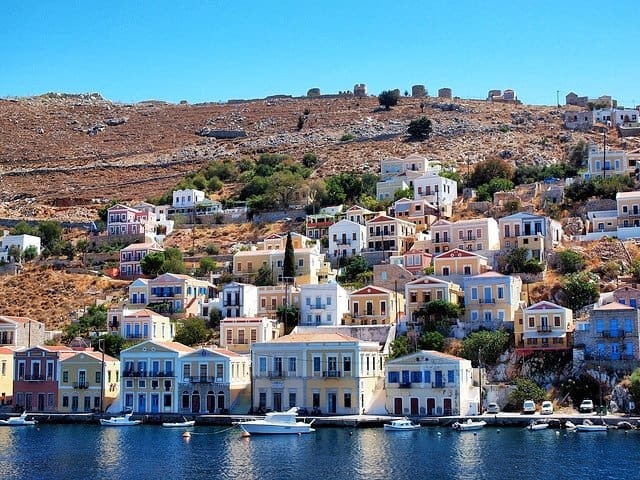 Everyone’s favourite romantic city easily deserves a place on the list. December is when the Belgian city becomes even more magical with beautifully lit buildings and Christmas markets centred around a large outdoor ice rink. Head for the cobbled main square for most of the action; here you’ll find around 30 wooden huts selling traditional gifts, fine festive foods and of course those world famous chocolates. The snow-topped mountains and tall colourful buildings of the city make it a worthy host for a beautiful Christmas market. 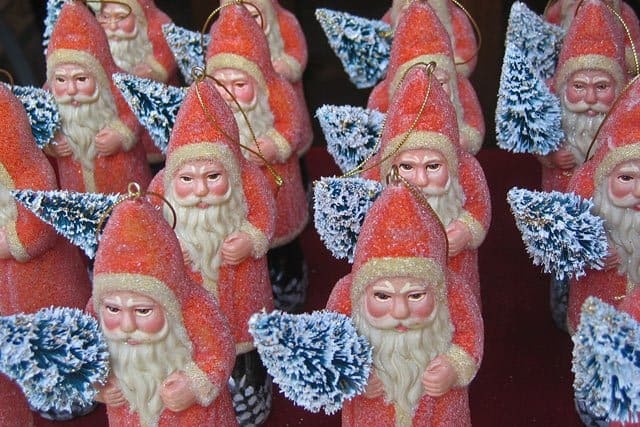 There are six markets in total, one of the best being the Old Town Christmas market. Here you can view the famous Golden Roof, surrounded by ancient history as you sip your warming traditional Glühwein. There are plenty of ornaments, crafts, and other Christmas gift ideas, and for the children, daily Fairytale performances at the Theatre Wagon. Indulge in traditional Kiachln doughnuts as you look down on the market from the viewing platform, or just wander among the 70 stalls taking in the atmosphere. The Budapest Christmas market is known both for its beauty and for being a great place to grab a bargain. The main market is held in Vörösmarty Square which hosts over 100 wooden stalls. Here visitors can listen to live music as they buy hand crafted products such as candles, clothing and Christmas decorations. Also snack on traditional Hungarian dishes like goulash and stuffed cabbage, and watch out for the Gerbeaud House – a giant Advent Calendar, where windows open at 5pm to reveal the day’s work of contemporary art. 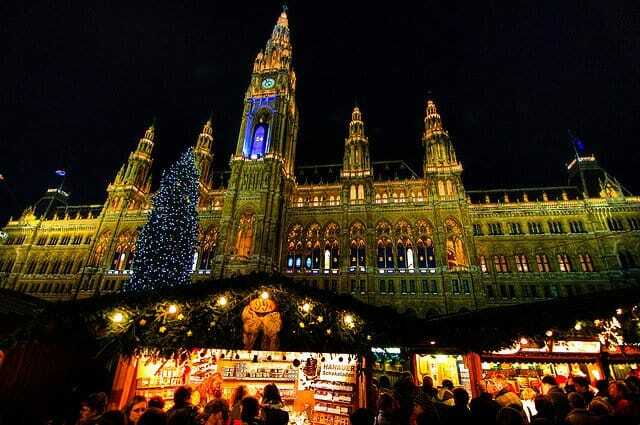 Another Christmas market that enjoys worldwide fame is held in the Austrian capital. There are actually around 25 markets in total and the oldest is the December Market that dates all the way back to 1294. Over 200 stalls are packed with gifts, hot food and the aroma of Christmas punch and roasted chestnuts waft around Vienna’s grand streets. Another highlight is the Rathaus Christmas Market which offers traditional local Christmas dishes, a large decorated tree to gaze at and a giant advent calendar of windows displayed at the town hall. Amsterdam is one of our favourite cities but I have to admit we haven’t been at Christmas time yet. so so pretty. 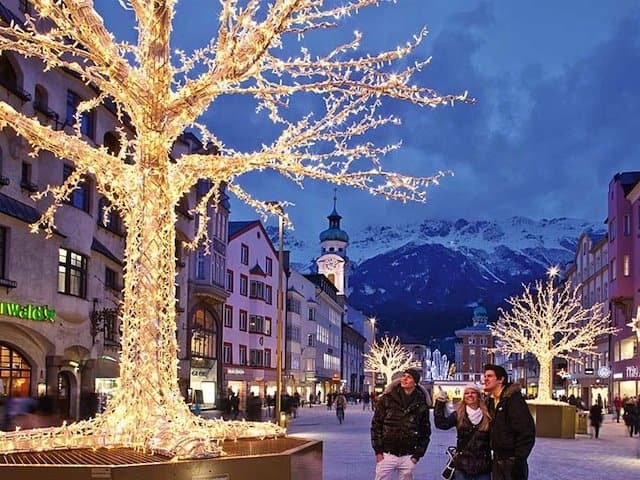 i especially think Innsbruck looks BEAUTIFUL! Wow! All these pictures of beautifully decorated squares and streets add to the majestic feeling of Christmas! How about Poland? 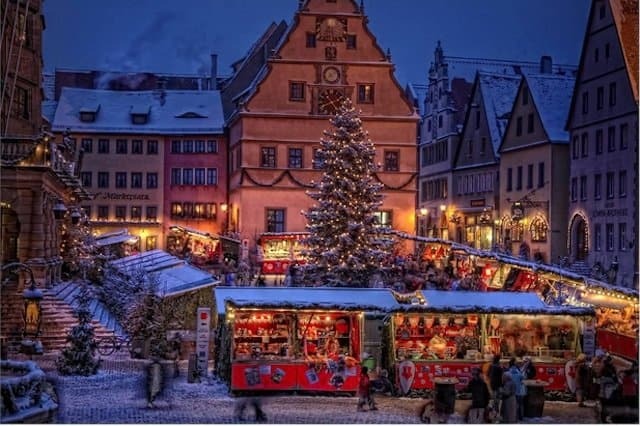 The local Christmas markets there look just spectacular! I visited Berlin last year and I was amazed as well. 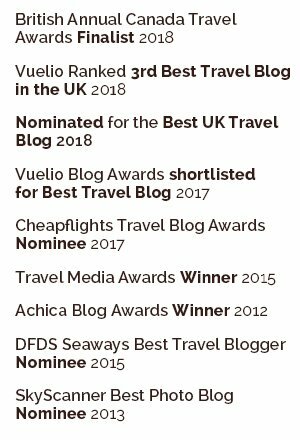 We’re ashamed to say we haven’t visited yet but it’s definitely high on the list for 2104! 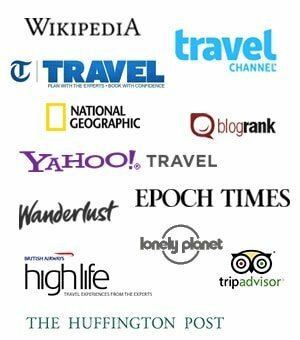 I’m OBSESSED with visiting all of these, especially Budapest, Prague, and Vienna. Next year, I tell ya’. I celebrated my last christmas in Edinburgh and it was really a wonderful experience. In fact, I am planning my christmas this year too in Edinburgh only. We’ve just come back from Edinburgh Christmas markets, such a beautiful city! these are beautiful! nothing like Christmas in Europe! Beautiful!! I wish we had Christmas markets like this back home! The one in Florence is awesome and it’s always fun trying new things or even eating traditional goodies year after year! Ooh haven’t been to that one yet but would love to visit one day, maybe next year! Oh great, now I want to go all over Europe to see the Christmas markets! Great post and awesome pictures. I love Tivoli Gardens (and Copenhagen)! I haven’t stayed at that hotel but thanks for the recommendation! Lovely photos, really makes me want to go and visit them all! I’m trying Bath this year as I’ve heard it’s good. I’ve heard Bath is great too let us know how you get on! Great selection, they all look pretty special although I would love to try a traditional German market. Oh wow they all look so pretty! I’ve been to the Vienna Christmas market and I can definitely vouch for its beauty. Thanks Emma, yes Vienna is very beautiful even more so this time of year! I’m a sucker for Christmas markets. I would especially love to visit the ones in Germany since I have a few friends there. Thanks for sharing! Enthralling – difficult to make a choice. 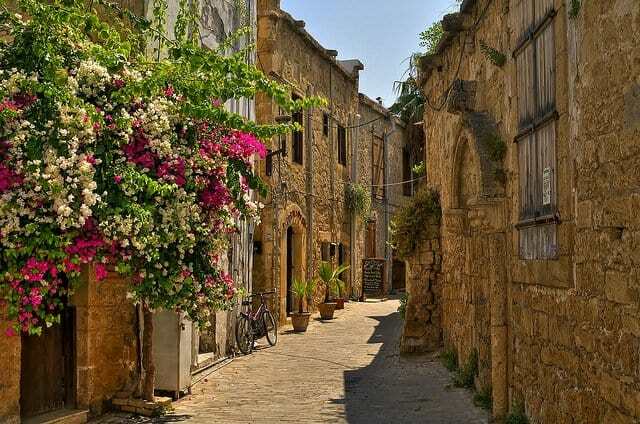 Medieval towns = magical atmosphere. I can’t believe you skipped over the most amazing one in my old hometown of Nürnberg/Nuremberg??? Sorry hard to choose just 10! 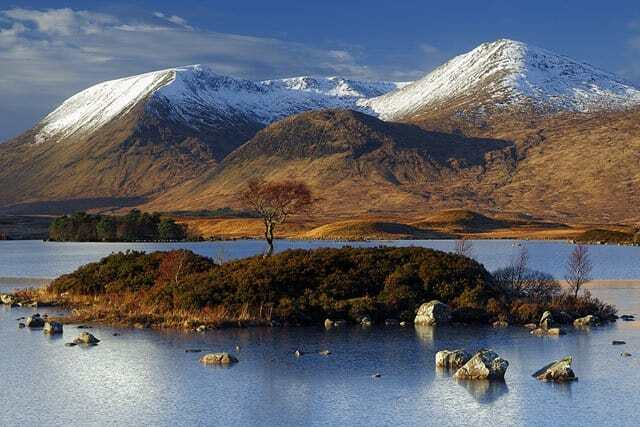 We haven’t been to that one but have heard it’s very beautiful.